The West Wicklow Historical Society’s next event is a lecture to be held at Tinahely Courthouse on Thursday 10 April. Fidelma Byrne will speak on a local real-life murder mystery dating back almost two hundred years. In “‘Murderers amongst us’: the case of Robert Rickerby and Coollattin Estate in 1817” she uses historical research to piece together what happened to Robert Rickerby and to present a possible answer to the mystery of the killer’s identity. Being from the Tullow area, Fidelma Byrne has a local interest in the Irish estate of the Fitzwilliam family, centred on Coolattin Park in south-west Wicklow. 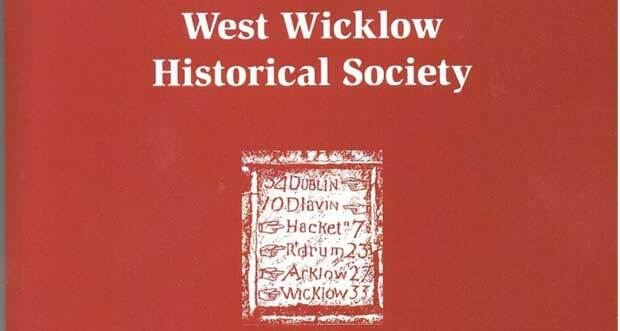 She contributed a paper on the Coolattin Estate during The Famine to the latest Journal of the West Wicklow Historical Society. Fidelma is a recent graduate from NUI Maynooth with a First Class Honours degree in History and Geography. Her research interests include nineteenth-century landed estates and Diaspora studies, with particular focus on assisted emigration schemes throughout the period. She is currently working on a thesis examining estate management practices on the Fitzwilliam estates in Yorkshire and Wicklow. In 2012, she was awarded a John & Pat Hume scholarship by NUI Maynooth. In 2013, she was awarded a Government of Ireland Irish Research Council Scholarship. Tinahely was part of the Coolattin Estate, and Tinahely Courthouse is an appropriately historic setting for this talk. This marks the WWHS’s first use of the Courthouse as a venue and its first lecture in the south-west in quite some time. The talk is at 8.30pm onThursday 10 April and all are welcome. There is a cover charge of €3 for members or €5 for non-members, including tea / coffee. Copies of the WWHS’s Journal will be available for purchase at €10 each.